Custom-built PC with RME RayDAT card; 3x 24-bit converters; Yamaha HS8w; signal processors; Roland JX-1, JX-3P, MKS-100; Korg P1, M3R; Casio CZ-101; Quasimidi Quasar; Alesis Vortex; Keytar; Eurodesk MX8000; Rode NT2-A; a bunch of screens and other stuff not being used. Cubase Pro 8. I started with an Amiga and a tracker program in the old days, which was really fun, but got interested in Cubase when on the Atari ST and just loved it! Been using it ever since, and there are always new features to be discovered. The FMD Electronics VOC-10 vocoder module. I use it a lot and it’s also the only one there is. I know that, as I built it 20 years ago with pieces of schematics from the early 70s, but with modern low-noise components. The idea was to build a limited amount of 20, but I ran out of money when I finished the first. I fell in love with it and kept it! I’m also producing my daughter’s first song. It’s for fun, but we will release it and it’s a great opportunity to spend some time together. I also invite singers and musicians for co-projects and remix for artists. What Annoys You About It? The limited space is frustrating. I wanted to have more angled rack units on the studio desk, but had to build the desk so it would fit in that room. I don’t like crawling down under the desk, and to reach the cables. Otherwise, it took me about eight months to build and I’m really proud. One push of a button on the remote powers it up. A mind extractor connected to my setup that could read my thoughts, as I sometimes have the perfect arrangement in my head, everything in place, and the frustration of not being able to get it out because I can’t find or make that specific sound. But a Mini Moog will do just fine, thank you for asking. Stop what you are doing immediately! Use your brain and think! What is the purpose of the studio? What are you trying to achieve? If you don’t know, then go to bed and restart the next day. It’s important to let things take time. I can only answer this in this way after building this particular home studio. 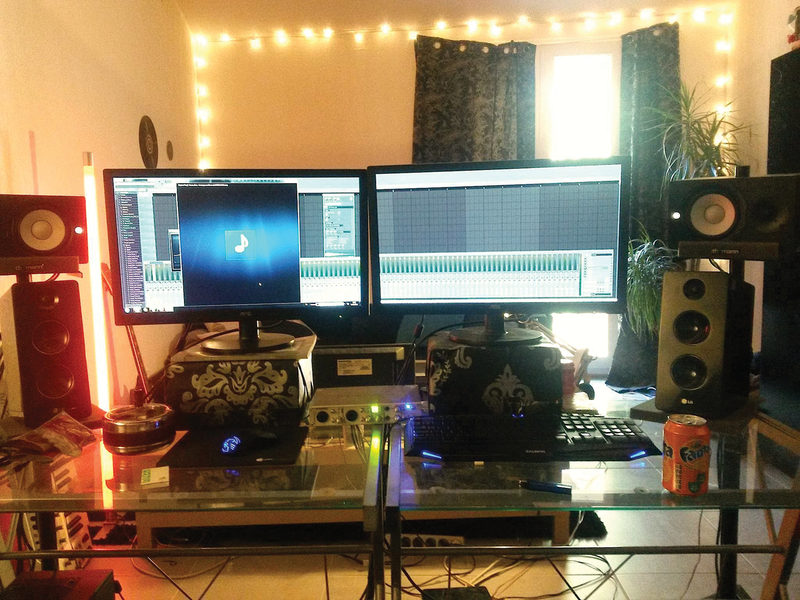 It is my sixth or seventh home studio setup, and my main focus this time was not to just build a recording studio, but rather a clean place for inspiration, where new ideas are brought to life. I can sit here doing nothing, just watching waterfalls on the big screen and chilling on the couch until inspiration hits me. 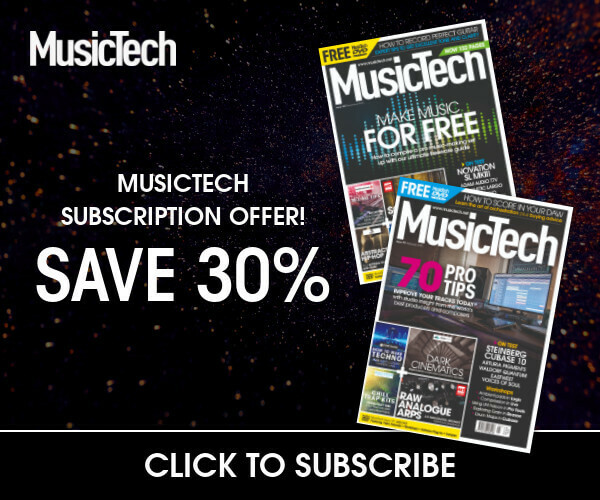 Mac Pro; Logic Pro; Waves Mastering; JJP Analog; SSL4000 Bundle; Spectrasonics Omnisphere; NI Komplete 9 and Maschine 2; DSP-Quatro; BFD 2; too many sample libraries. Hardware: Dynaudio M2s; Apogee Digital Symphony; Avalon VT-737SM; UA LA-610 MKll; SSL Nucleus; NI Maschine 2; various analogue synths; JD-8000; Korg Triton; M-Audio AIR & Axiom 49 keyboards; PreSonus Monitor Station; and several electric guitars/basses and classic mics. I started on Cubase on an Atari 520 STF way back when, but since switching to Logic (2.5) many years ago it’s been my DAW of choice and now it’s Logic Pro X 10.1. I love the work flow and creative ease of use – the best solution for the way I work. I have Pro Tools if a client asks, but have not used it for two years. A tough one: My Dynaudio M2s. They’ve gone into every studio I’ve built or used in the last decade or more and I’ve relied on their amazing honesty of sound for over 15 years. Perfect or Room For Improvement? I use my studio mainly for LTL Records and other labels artists, but I do work woth other artists and bands not on any label, too, but the studio is not a hire-by-the-day studio. It’s an artist/label project studio, either for my productions of others on other labels. Saying that, I do find that I am mixing for bands and artists from around the world most of the time now. Excuse me while I take 10 years to decide. Either an SSL Duality or Neve Genesys, either one 64-channel, primarily for their quality, and also for their DAW compatibility. Next On Your Shopping List? Get good speakers/monitors, one decent pre/comp box and treat your space with whatever you can to kill bad audio reflections. Good speakers are essential, but a bad setup or bad room can kill any chance of a good mix. Don’t chase the loudness, gain stage correctly and go for mix quality not loudness. Also, stop watching the clock! Don’t write your song in the studio while paying for a studio by the hour. Rehearse, rehearse, rehearse before you go into the studio. The studio services are free, it’s my sarcastic British humour you’re paying for… No, your girlfriend, her pics or videos are not acceptable currency. Nothing fancy. I have a huge PC computer; a couple of controllers (Akai MPK49, Akai APC40 MkII, Roland A-30, 88); Beyerdynamic Custom One Pro as headset; Yamaha HS50M as flat monitoring; LG as hi-fi monitoring; two AOC 12360 LED (24”); and M-Audio FW 410/TCE Studio Konnekt 2. I use FL Studio 12 (and have used FL since v9), as I love almost everything about it: the simplicity, speed, sound, visuals, killer features and more. I’m also getting used to Pro Tools for better results, as I’m finding FL a little unstable sometimes. What Is Your Favourite Gear? My two monitors, so I can switch between ‘full listening’ or just monitoring. When they work at the same time, it is just awesome. How Do You Use The Studio? I use it for working professionally on my own projects, but I actually started it all for fun. I’m studying to be a sound technician, training in a private school, which obviously helps a lot. Definitely a Komplete controller or high-end plug-in suite. What Is Your Dream Piece of Studio Kit? A Nord Lead is like my dream car. 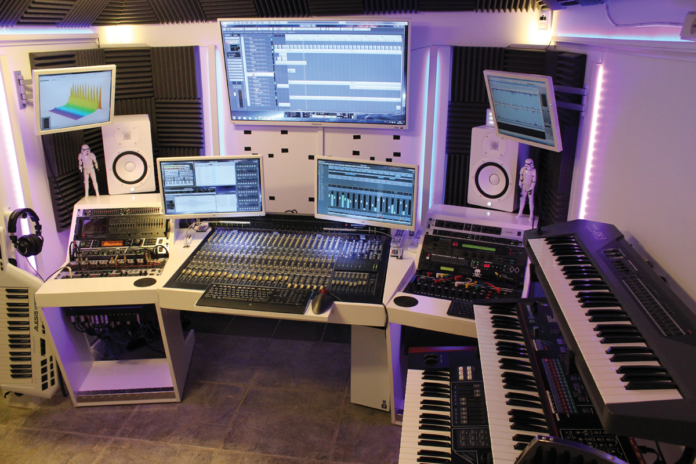 I would also love to have a live room to start working with singers and band musicians. 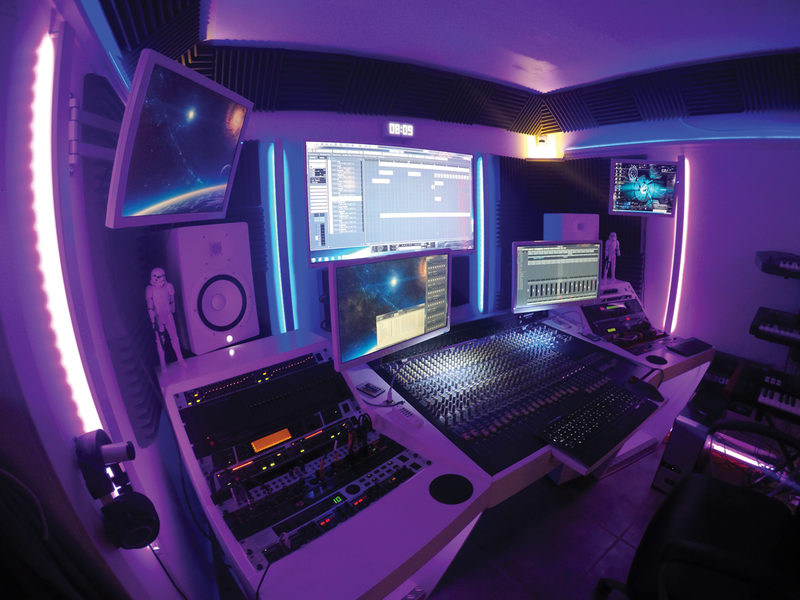 Do You Have Any Advice For Running a Studio? Just to try to keep it simple. 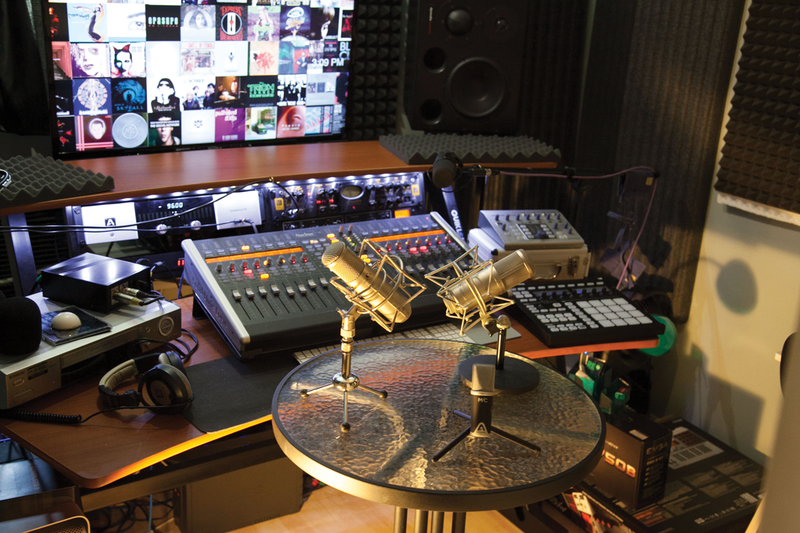 You don’t need tons of equipment to make good music, or create a good mix of your music.